Welcome to Cracking the Code on Peanut Allergies on ReachMD. The following episode is brought to you through an independent educational grant from Aimmune Therapeutics. 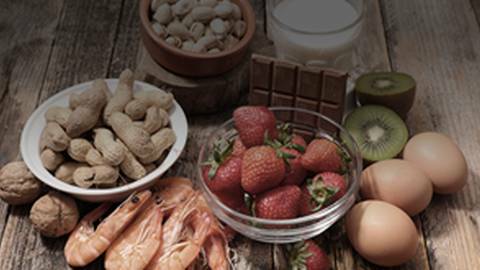 On this episode, “Food Allergy Research: How Standardizing Terms Can Save Lives,” Dr. Caudle presents a problem that desperately needs solving, which is the perplexing language used in food allergy trials to describe clinical endpoints. Peanut allergy is among the most common childhood food allergies, afflicting approximately 1 in 70 children and 1 in 160 adults in the United States. It’s an increasingly prevalent, costly, and life-threatening condition. But despite a growing body of clinical research aimed at improving care for these patients, the medical community faces a fundamental challenge: how to share key insights and findings in a field with no standardized terminology. This is the lexicon problem of food allergy research, where recognizable terms carry different meanings across diagnostic, investigational, and patient-educating purposes. And the effects of this are real. In clinical trials, terminology variances can lead to vastly different interpretations of the same research results, stalling any consensus recommendations for new standards of care. Let’s take the clinical endpoints for oral food challenges. Recent surveys with allergists found considerable variability in how endpoints such as the Reactive Dose and the Tolerated Dose are defined. For instance, the Reactive Dose, also known as the Eliciting Dose, is the dose given during a food challenge that induces the onset of allergic symptoms. These symptoms, which can range from mild to severe, represent the point of intolerance that stops a food challenge. But as intuitive as that sounds, there are common misunderstandings around the Reactive Dose. Some mistake it in practice for the Cumulative Reactive Dose, which adds all doses together and includes the Reactive Dose. And while this endpoint can help researchers identify delayed absorption effects for investigational therapies, its applications in real life become murky. Consider the slow and steady oral food challenge in a controlled setting, where a Reactive Dose can be reached incrementally. Now consider food exposures in daily life, which accumulate as fast as their appeal on the plate. This means, for patients, knowing the single or cumulative dose at which a reaction may happen is less realistic and practical than understanding the dose that can actually be tolerated. This brings another endpoint into focus: the Tolerated Dose. While a clear majority of surveyed allergists agree that the Tolerated Dose is the most clinically meaningful endpoint for patients, not all agree on what the term means. Some define it as any dose not producing symptoms, while others call it the cumulative dose at which symptoms occur. But the Tolerated Dose is actually the highest dose given during a food challenge that elicits either no symptoms or symptoms that are not indicative of an allergic reaction. For this reason, the term is now often clarified as the Single Highest Tolerated Dose. It’s is a small but critical distinction, with real-world implications on patient care and education. As new standards of care for food allergy continue to evolve, recognizing these differences between clinical endpoints and adopting a standard lexicon are becoming central to treatment updates and the protection of patient safety. The preceding program was brought to you through an independent educational grant from Aimmune Therapeutics. To access other episodes in this series, visit ReachMD.com-slash-PeanutAllergies. There’s unfortunately still a lot of confusion surrounding food allergy research terminology. Here’s a breakdown of the key terms you need to know. Conducting clinical research is essential if we are to better understand peanut allergies, yet the terminology to describe these findings only confuses and frustrates clinicians. 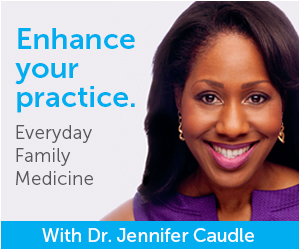 Here to help clear up the confusion is Dr. Jennifer Caudle, who also demonstrates the importance of standardizing these terms so that the medical community as a whole can accurately and effectively utilize these research findings.